Connect Gift Up! to your Shopify store and we will enable your Gift Up! gift card codes to be used during checkout. What Shopify plans does Gift Up! work with? Gift Up! works with any Shopify plan, all the way from the Basic Shopify plan to Shopify Plus. In order to sell gift cards, you need to install our drop-in checkout on a page somewhere in your Shopify website. Gift cards cannot be bought as products in your Shopify catalog as we need to collect some extra information like recipient email address and delivery date and Shopify does not allow us to collect this extra information. 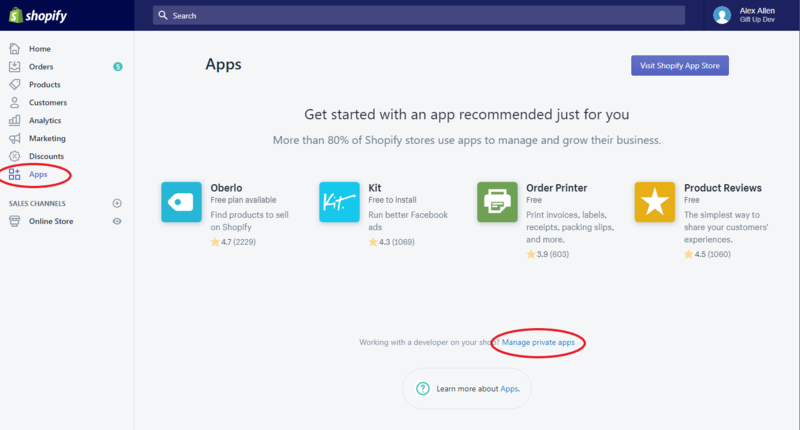 3) Click "Create a new private app"
Then click "Connect" and any future gift cards that are sold will be available as coupons in your Shopify store and can be used in the cart as normal. When you sell a gift card in your Gift Up! 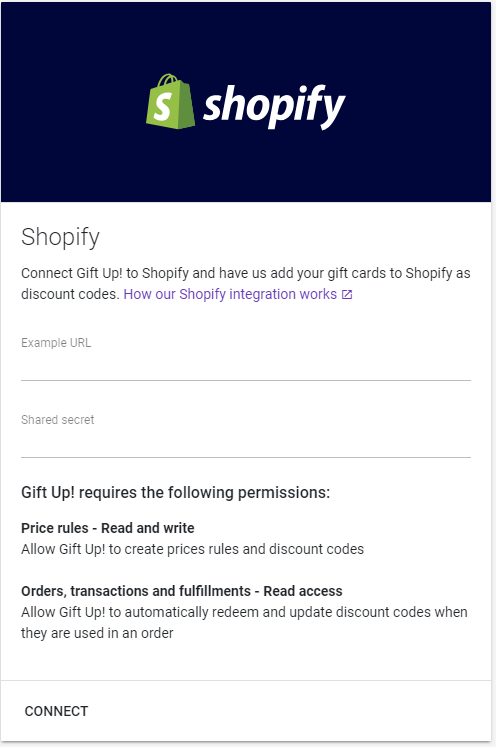 checkout we will automatically create a discount matching the gift card balance in Shopify that matches the 5 character alpha-numeric code that we create. 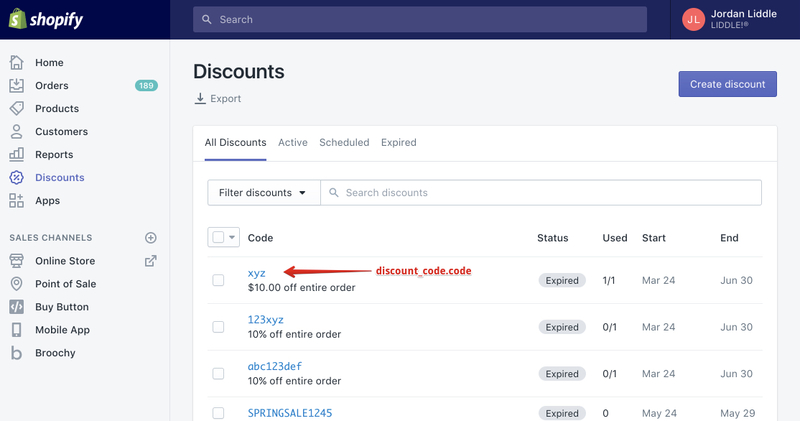 In the instance above, the coupon gets deleted automatically by Shopify (as the original discount coupon was a one time use only coupon), but when the order gets placed in Shopify, we get notified and we reduce the gift card balance in Gift Up! 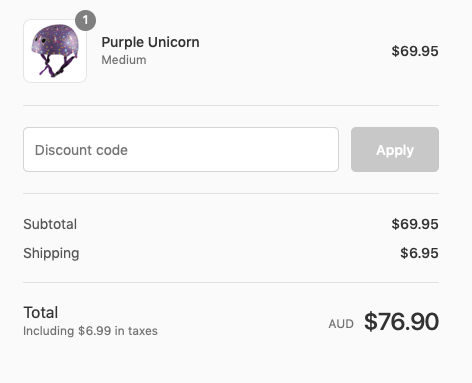 to $20 and immediately re-create the discount coupon with the exact same code again, but this time with a $20 balance so your customer can come along again and place another order and use their remaining balance. When we create the discount coupon in Shopify, it can be used against any shipping costs on the cart. This is the only supported behavior in Shopify e-commerce. Where do customers enter the gift card during the Shopify checkout process?